Millions of people in the U.S. live with anxiety disorders. Anxiety-related disorders are mental conditions that can have very debilitating side effects on a patient. Many people living with anxiety disorders try different drug prescriptions to find the one most suited for them. With time, your tolerance for these drugs become higher and you get to increase your dosage. Addiction issues may arise. However, some people have turned to cannabis as an alternative treatment for stress and anxiety. Some patients supplement it with their anti-anxiety medication while others have completely replaced their anti-anxiety drugs with cannabis. But if you choose a middle path by opting to complement the two treatment methods, it is important to understand how the two types of drugs interact, and how they can create a perfect treatment plan for you. DOES CANNABIS TREAT ANXIETY DISORDERS? There have been a lot of discussions about the anxiolytic properties, and many other positive uses of marijuana. Cannabis contains hundreds of compounds called Cannabinoids. These chemicals interact with receptors in our body and brain to provide health benefits. Marijuana has been confirmed scientifically to have many healing properties, most of which humans haven’t explored due to the legalization war and other political factors that makes it a highly restricted drug in the U.S. and most other countries in the world. While treating medical conditions with cannabis might come with side effects like anxiety, it is also true that people react to marijuana in different ways, judging with factors such as the strain administered, and the method of use. There are a wide range of cannabinoids in different strains of cannabis, but experts focus mainly on CBD and THC. These two compounds are mostly responsible for the way marijuana impacts your health. THC is the psychoactive compound in cannabis. Paranoia and anxiety are part of the possible side effects of using cannabis strains with high THC concentration. CBD on the other hand promotes a feeling of calm. Strains containing high levels of CBD don’t make you ‘high’. The latter alleviates feelings of depression and anxiety. So, next time you visit a marijuana dispensary, make sure your drug prescription is a strain that works well with your system. Many people would think cannabis medicine and anti-anxiety drugs work in different ways. Although how our bodies react to a medication varies, these two treatment methods work with the same chemicals in the brain, and in similar ways to produce the same results. Benzodiazepines, a commonly prescribed anti-anxiety drug, manage the levels of a neurotransmitter called GABA. With research, it has been discovered that cannabis can also impact GABA levels. The function of GABA is to balance your anxiety levels. This means that benzodiazepines and cannabis can produce the same results. Every year, thousands of death cases of benzodiazepine medication overdose are reported. Many patients build a tolerance to benzodiazepines drugs and they are forced to take higher doses. In some cases, they can cause an overdose. Meanwhile, no death has ever been reported from a marijuana overdose? It is quite true that medical marijuana users can develop a tolerance for the drug, but there’s no situation that can cause an overdose. Even when it happens, it cannot result in death. Many patients combine their anti-anxiety medications with medical cannabis. They use medical cannabis as a part of a combined treatment plan. So, if switching over fully to marijuana medication is a choice you are tentative about making, you have this great alternative to consider. 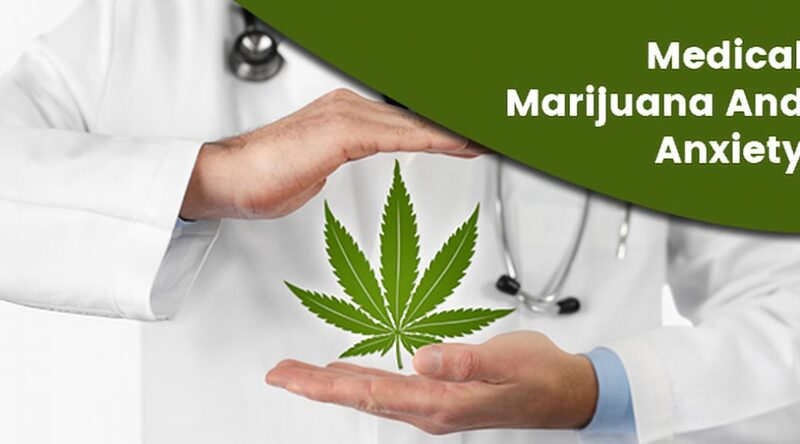 It is, however, important for patients who decide to combine both kinds of medicine to get approval from doctors who have experience in marijuana medicine, in determining the right dosage for them. Anti-anxiety medications and medical cannabis have overlapping spin-offs. Patients who use medical marijuana in combination with citalopram might experience side effects such as drowsiness, disorientation, and lack of concentration. However, working with your doctor in adjusting your dosage and dosage time can mitigate or even eliminate these symptoms. It will always be a better choice to opt fully for medical marijuana treatment for anxiety disorders. Medical cannabis reduces the possibility of drug interactions. It also solves the problem of drug dependency. But it cannot be overemphasized that you need to work with a medical marijuana expert in the process of figuring out the treatment plan that best suits you.